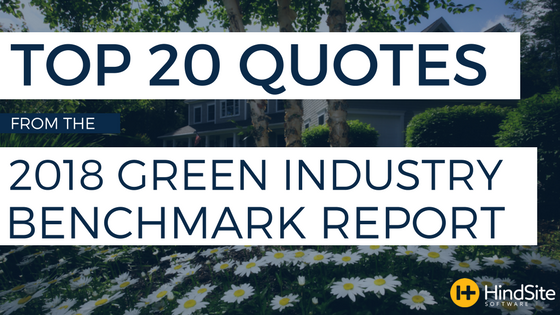 Along with the standard survey, Chad Reinholz, HindSite’s Marketing Manager, conducted interviews with five green industry professionals - each offering a different, yet valuable, perspective. Whittling down the list of quotes was no easy task but after much deliberation we were left with 20 gems that offer a keen and unique glimpse into the industry. If you're hungry for some more green industry knowledge, click on the image below to download the full (and free) report.